The August Bank Holiday weekend is almost upon us. It’s a time to enjoy the last of the summer sunshine and make the most of the capital. From chocolate cocktails to The Science Museum and a Quentin Tarantino Special, there is plenty to discover during the long weekend. Here is our mini-guide of what to do, where to go and new places to visit across London. The heatwave may be over, but it’s not nearly as chilly in London as Antarctica. The Science Museum is hosting a dance and science festival, Antarctica Live, celebrating this extreme environment. Antarctica Live explores the beauty through a dance performance from award-winning choreographer Corey Baker, inspired by his recent trip to Antarctica to shoot ‘Dancing on Icebergs’. You can watch science experiments, talk to Antarctic researchers and join a workshop with members of the Corey Baker Dance Company (No booking required). Discover a chocolate cocktail-making masterclass in the heart of Covent Garden, London WC2. Choose mocha and mint infused drinks, chocolate martini and many more moreish delights. Head into the heart of the jungle with Rudyard Kipling’s epic tale of Mowgli and the Jungle Book. 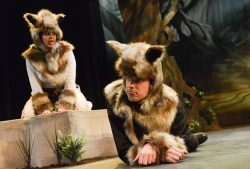 See your favourite characters brought to life on the stage in this fun adventure, with Baloo the bear, Bagheera the panther, Akela the wolf and the tiger Shere Khan. Price: £18.50 adult, £9.75 child. Reminisce your favourite scenes from Quentin Tarantino’s movies, with a weekend dedicated to his musical soundtracks. The Blues Kitchen’s House Band will be performing tracks including Kool & The Gang, Al Green, ZZ Top and David Bowie. Head over to Smithfield’s and Cloth Fair to take part in London’s biggest parade of Dachshunds, better known as sausage dogs. It is part of Smithfield Market’s 150th anniversary celebrations. Be prepared to get messy at the annual Tomatina Tomato Festival. You don’t need to head to Buñol, Spain to join the traditional celebrations as London has its own version. Aqua Nuevo and Downstairs at Carousel are hosting the combined feast and tomato throwing activities. It’s a green event too with only old tomatoes being used, which would usually go to waste. The remnants are being donated to a composting facility. Price: £49 for three course meal, cocktail masterclass and a poncho for the tomato throwing activities. Alternatively, £20 for just the Bloody Mary masterclass and tomato fight. Immerse yourselves in the world of Stephen & Virginia Courtauld at their Art Deco Palace and join in the preparations for one of their legendary parties. 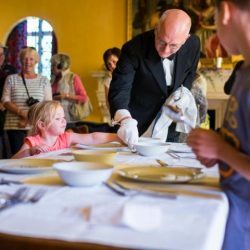 Admire the clothes in The Great Hall, don your dancing shoes to learn the steps in the dance class, enjoy croquet on the lawn, or perfect your hosting skills with tips from the butler. 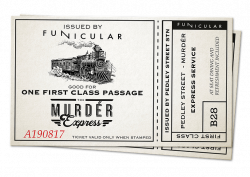 Join the Murder Express as it embarks on a fun evening with an immersive performance and delicious meal served by Masterchef 2016 finalists, Billy and Jack. The menu has deliciously sounding dishes including: Butler’s steak and Apple Tart with clotted cream a la Lady Portarlington. 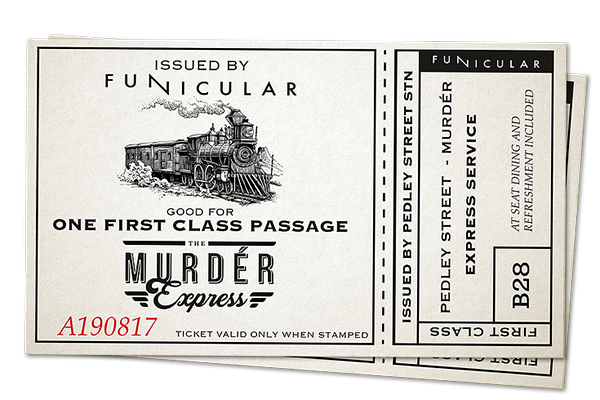 Tickets remaining for August 25 and 26. If you’re looking for a luxurious and leisurely weekend, try the Landmark London, which is hosting a duvet day and movie night this weekend. There is champagne on arrival, then afternoon tea served in your room, which is followed by having your make-up done by the hotel’s resident Emmy-nominated make-up artist. Then you can relax and enjoy a selection of movies. You’ll also be treated to full use of the Health Club and Spa and a full English breakfast served in the hotel’s Winter Garden. 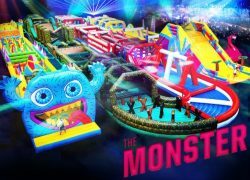 The Monster at Alexandra Palace is the perfect place to release any excess energy this weekend. With 300 metres of a bouncy castle-like obstacle course and 42 challenges, you can bounce your way around the course.